5 Simple Steps to Buy Cars & Vehicles from Fixed Price. 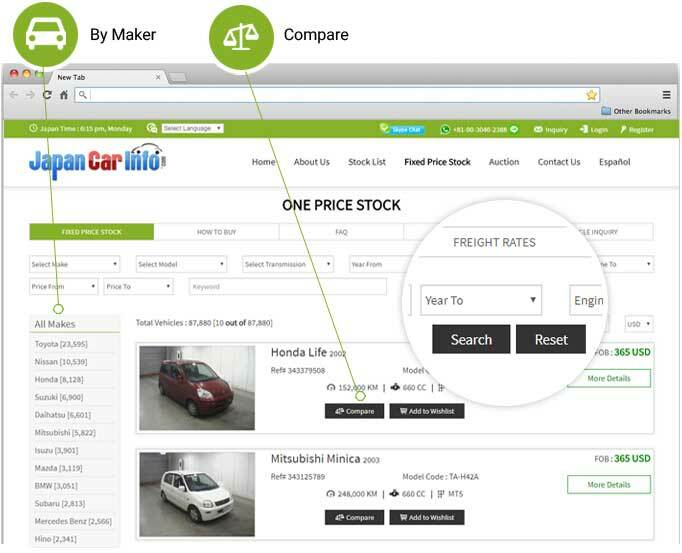 Search our fixed price stock to find your required vehicle from huge stock available for sale at best price. One Price records are updated on daily basis so please inform us for the vehicle you are interested to buy so that we can reserve the same for you. 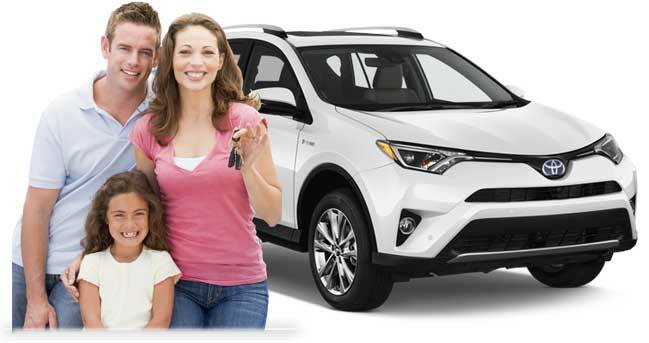 Fill Get Free Quote form for vehicle you want to buy from fixed price stock detail page. We will send Proforma Invoice to you with total price of the vehicle to your destination port. If you agree with the prices please confirm your order. 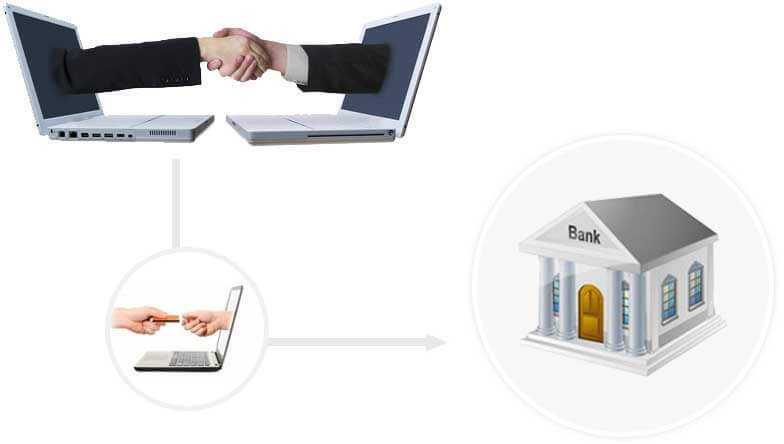 Deposit full payment by Bank Telegraphic Transfer, from any bank to our Japan Bank Account. After you have completed the payment please send us a copy of Telegraphic Transfer copy as proof of payment. When the payments confirmed, we will e-mail you a confirmation. 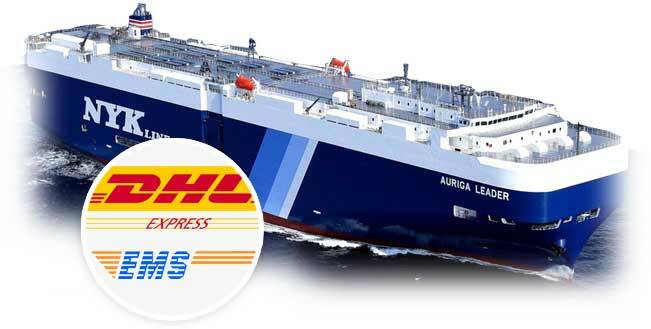 Once full payment is received we will immediately start export arrangements from earliest vessel available. Required documents will be sent to you or your agent by courier a few days after vessel leaves Japan to make sure that documents are received in time. 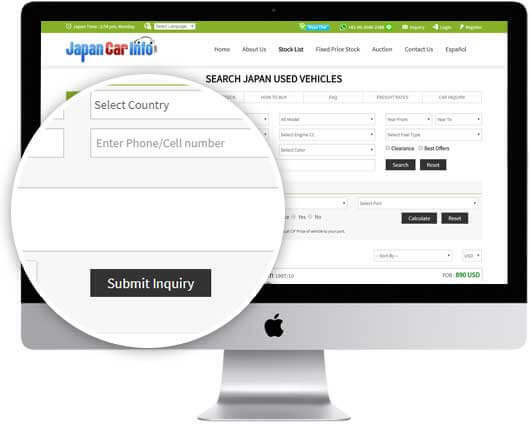 Collect & Register vehicle in your country with received documents. A clearing agent can be hired to complete all import procedures and assit you on the fees and taxes to be paid while custom clearance. Complete the procedures and enjoy your New Vehicle.